Lifting equipment can reduce the risk of injury from patient handling, but its use has been far from optimal. This study examined frequency of lift use, perceptions about lift use and injury risk, and musculoskeletal symptoms by the type of available lifts (ceiling lifts vs. floor lifts only). The study analyzed data from a pooled sample of 389 California registered nurses who participated in two cross-sectional surveys in 2013 and 2016. Nurses who performed patient handling tasks and had patient lifting devices were included in the data analysis: 23% had ceiling lifts and 77% had floor lifts only. Lift use was more frequent among nurses with ceiling lifts than nurses with floor lifts only (use ≥ 50% of the time needed: 48% vs. 35%, p = 0.003). Perceptions about lift use were significantly more positive among nurses with ceiling lifts, in regard to safety for workers, safety and comfort for patients, and ease of use, access and storing; however, perceptions about time burden and injury risk were not significantly different. 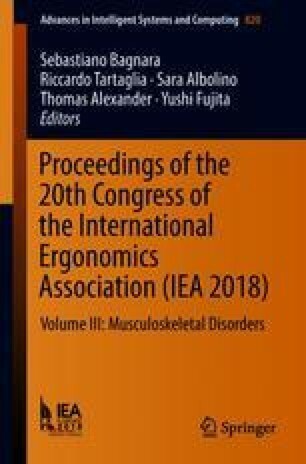 After controlling for survey year, the prevalence of major work-related musculoskeletal symptoms (moderate or severe symptoms that either occurred at least monthly or lasted one week or more) was significantly lower among nurse with ceiling lifts than those with floor lifts only for low back pain (OR = 0.52, 95% CI 0.30–0.89) and shoulder pain (OR = 0.59, 95% CI 0.35–0.99). The findings suggest that ceiling lifts are superior to floor-based lifts in multiple aspects, including better acceptance and use by nurses in patient handling, as well as being associated with reduced musculoskeletal symptoms, particularly in the low back and shoulders.